Sanofi, a global healthcare leader, discovers, develops and distributes therapeutic solutions focused on patients' needs. Our Sanofi Pasteur Swiftwater, PA site, where we both research and manufacture vaccines since 1897, has had a tremendous impact on global health and the quality of human life. 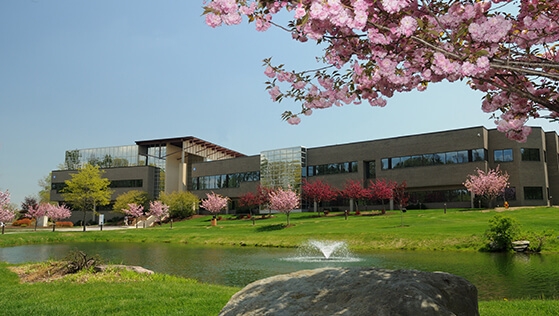 Nestled among the Pocono Mountains in Swiftwater, Pennsylvania, Sanofi Pasteur is home to state-of-the-industry facilities—and a rich and unique history. Our Swiftwater campus is more than 500 acres, housing 44 buildings and encompassing more than one million square feet of building space. Many of our facilities, while bright and modern, still retain the rustic charm of the original stonework. 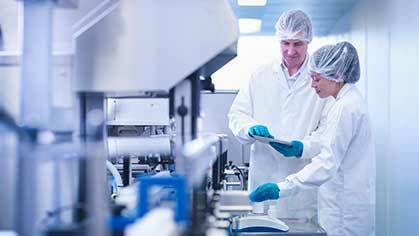 Vaccines Industrial Affairs (VIA) at our Swiftwater, Pennsylvania site, the largest vaccine manufacturing facility in the US, continues to develop its manufacturing assets to produce existing and new vaccines and biopharmaceuticals. Sanofi Pasteur provides associates in IO a variety of opportunities to develop and enhance their career through the ability to work in diverse roles across functions, resources for continuous learning, and assistance for those wishing to further their education. The Drug Substance Process Engineer, within the Manufacturing Technology (Mtech) function of Vaccines Industrial Affairs (VIA) supports manufacturing by ensuring the accuracy, conformity and competitiveness of the processes and techniques utilized for the production of the vaccines and biologics manufactured at the Sanofi Pasteur industrial sites. The mission of MTech function is to deliver robust and efficient process & testing with associated know how transfer to Manufacturing & QC. Mtech function also provides daily support manufacturing and QC toward industrial performance excellence. • Support execution and documentation of development and/or validation studies and lead or supervise groups and/task force in the planning of engineering, investigational, definition and process validation runs. • Comply with cGMP and other internal and external quality and regulatory guidance and health and safety guidelines. • Execute life-cycle design and industrialization of upstream processes, products and associated test methods for Phase 3 and licensed products (new vaccines and biopharmaceuticals AND lifecycle improvements) to assure commercialization of robust, compliant, and efficient processes and test methods for vaccines and biopharmaceuticals. • Input to design space / DOE studies through establishment of scale-up / scale-down parameters utilizing engineering fundamentals (mixing, mass / heat transfer, modeling, dimensionless parameters, etc.) and process control strategies. • Partner with Engineering to ensure industrial implementation of process design, including review of engineering design documents, provide review and input to C&Q strategy and participating in testing of equipment. • As a subject matter expert (SME), provide technical assistance to manufacturing and quality operations for process troubleshooting, and health authority inspections to achieving site metrics (+QDCI) Safety, Quality, Delivery, Cost, Involvement. Sanofi Pasteur’s VIA mission is to improve worldwide human health, as a reliable manufacturer, by delivering high quality, innovative, and affordable products to our customers. You would fit in well with our Sanofi values of innovation, solidarity, confidence, respect, and integrity and our ways of working (Focus, Agility, Accountability and Simplicity). • Expertise in one or more upstream process unit operation design typically used in biotech / vaccine manufacturing (cell expansion, fermentation & cell culture, harvest / clarification), single-use systems as well as project / engineering lifecycle. • Knowledge of computer software common to mission (AutoCAD). Expertise in modeling and simulation of biotech manufacturing unit operations and processes is desired (SuperPro Designer, Schedule Pro, CFD). • Proficient with structured methodologies such as Good Engineering Practices, Quality by Design, Design Space, & Process Control Strategies to be employed in the course of industrial process design, validation and control. • Ability to work in cross functional teams, provide strong analytical skills for troubleshooting and root cause analysis, and communicate with internal and external team members. • Experience in process tech transfers, equipment start-up, qualification and validation is preferred.